This is our smallest tingsha, hand-cast by Nepalese artisans engraving eight auspicious symbols (Astamangalas) on it. The striking sound of this tingsha produces sharp meditative vibration. 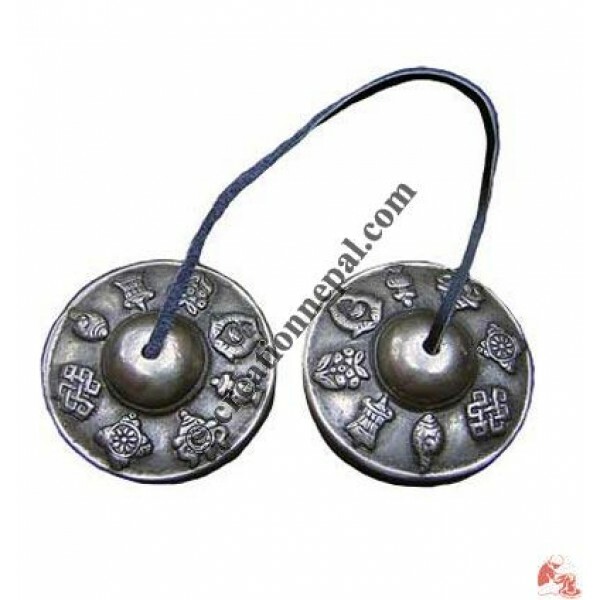 In general the tingshas are made of seven metal alloys (like the bells and singing bowls) but nowadays these items are made with more decorated form and more brass and less the other metals are in use. Since the products are handmade, there can be slight variations in given measurement.